Tony Harrington from Cleveland has the whistle for the Millers home game against Swansea City. After refereeing in the Teesside Junior Football Alliance at the age of 14 Tony completed a basic refereeing course whilst at school as part of the Duke of Edinburgh award. After four years as an EFL assistant referee and four years as a National League referee, he was appointed to the EFL Referees List in 2012/13. The last time he was in charge of the Millers was for the South Yorkshire derby when Sheffield Wednesday were the visitors to the New York Stadium in April 2017. Two goals from Steven Fletcher in the first half gave the Owls all three points. Tony booked Will Vaulks and Joe Newell that Tuesday night. Tony was last in charge of the Millers in December when Burton Town were the visitors to the New York Stadium. Former Miller Chris O’Grady opened the scoring for the visitors with Jackson Irvine making it two-nil on the forty-first minute. Tom Adeyemi gave the Millers some halving the deficit right on half-time but Burton went home with all three points. Darnell Fisher, Lee Frecklington and Danny Ward were booked alongside three Burton players that afternoon. 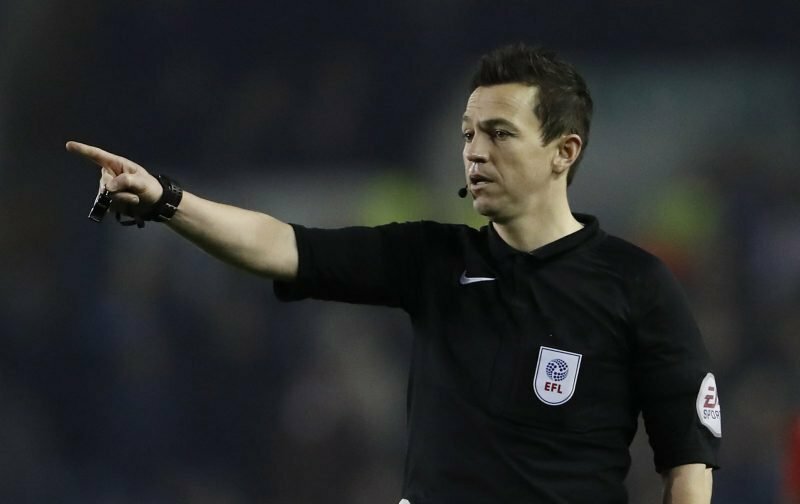 Running the line on Saturday we have Paul Hodskinson and Geoffrey Russell while the Fourth Official is David Webb from County Durham who recently reffed our game against Stoke City.